In the first official statement of its kind, the Muslim Brotherhood announced last month that it now regards the United States of America as an enemy, following President Trump's decision to move its embassy in Israel to Jerusalem. The statement was published on the Brotherhood's Arabic language website, where it often publishes more incendiary rhetoric. "Jerusalem is an Islamic and Arab land, for which we make blood, freedom and life, and we fight every aggressor and every supporter of aggression," the statement said. It called for a unified Islamist and Palestinian response "to ignite an uprising throughout the Islamic world against the Zionist occupation and the American administration in support of the occupation and against the rights and freedoms of the peoples." A week later, the Brotherhood issued a second release, an open letter to Arab leaders with similarly inciteful rhetoric, accusing the leaders of weakness in face of the "Zionist entity." It urged these leaders to "enable their people" to defend Jerusalem and the Al-Aqsa mosque. This statement cannot be brushed aside as simply harsh words or empty threats by some anonymous jihadist group online. The Brotherhood is the world's oldest and most famous Islamist group. Its message declaring America an enemy state is enormous because it reaches millions of followers across the globe. It is an unprecedented official confrontation with the United States. While the statements mark a change in strategy by the Muslim Brotherhood, it isn't likely to lead to immediate violent action. The Brotherhood does not issue statements like these without a careful plan. It may wait to see if the U.S. embassy relocation takes place before any escalation. Despite issuing an official statement in Arabic, the Brotherhood never posted it on its London-based English language website, Ikhwanweb. Instead, it published an alternative version of the second statement in the form of a plea to Muslims and their leaders convened in Istanbul to remain united on the Jerusalem issue. This is standard Brotherhood behavior, to striking a more "moderate" tone to Western audiences, while showing its true face to Arabic-speaking Muslims. The toned down message published on Ikhwanweb called for "peaceful" protests in contradiction to the Arabic call to ignite "an Intifada." Though the message was directed to Arab and Muslim leaders, it was meant to be read by Western readers. "The group urges Muslims in various parts of the World to rise up in peaceful popular protests to express their support of the freedom fighters in Palestine in their rejection of this move..." It called upon the Muslims and others "to express firmly the rejection of all evils committed (sic) against Palestine, and the determination to fully restore Palestinian people rights." Antipathy toward the United States is nothing new for the Muslim Brotherhood. The group's literature includes dozens of references vilifying America. In addition, the group's most famous scholar, Sayyid Qutb, berated Americans in his 1951 essay, "The America I have seen." "It is the case of a people who have reached the peak of growth and elevation in the world of science and productivity, while remaining abysmally primitive in the world of the senses, feelings, and behavior," he wrote. Nevertheless, the Muslim Brotherhood – through diplomacy and duplicity – managed to keep its real attitude toward the United States hidden over the years. That finally changed in the Dec. 6 official statement, and it remains quite a gamble. It could cost the Brotherhood diplomatic relations that it forged with the U.S. politicians in recent years. It also risks being lumped in with terrorist organizations that express blatant hostility towards the United States and its interests. But it is a gamble that the Brotherhood seems to be willing to take because the Palestinian cause has been its bread and butter issue since the 1940s. Traditionally, the group would use offshoots such as Hamas to do its bidding against America. For instance, Hamas leader Ismail Radwan said this after the Jerusalem embassy announcement: "Trump's decision will open the gates of hell on U.S. interests in the region." This method provided the luxury of deniability and distancing itself from such inflammatory statements while presenting the Brotherhood as the "moderate" Islamist group to western media and political circles. In this case, however, the Muslim Brotherhood chose a more zealous stance in its Arabic statement in a desperate attempt to garner some of its lost popularity in the Middle East after its political fortunes suffered in Egypt, Tunisia, Syria, Iraq and elsewhere. 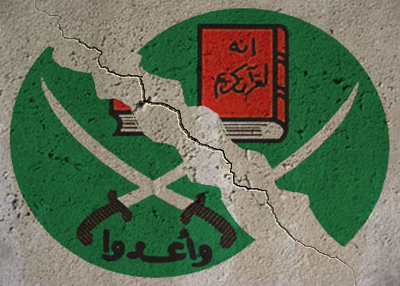 The Muslim Brotherhood is beleaguered; its leadership is either in jail or on the run. It may feel a tougher line is necessary to maintain relevance in the streets that it once dominated. The Muslim Brotherhood has exploited the Palestinian-Israeli conflict for decades to maintain its "Vanguard of the Faith" reputation. At this critical and desperate moment in its history, its leadership is willing to place all its chips on this cause, even if it means the group is in a direct political conflict with the United States.